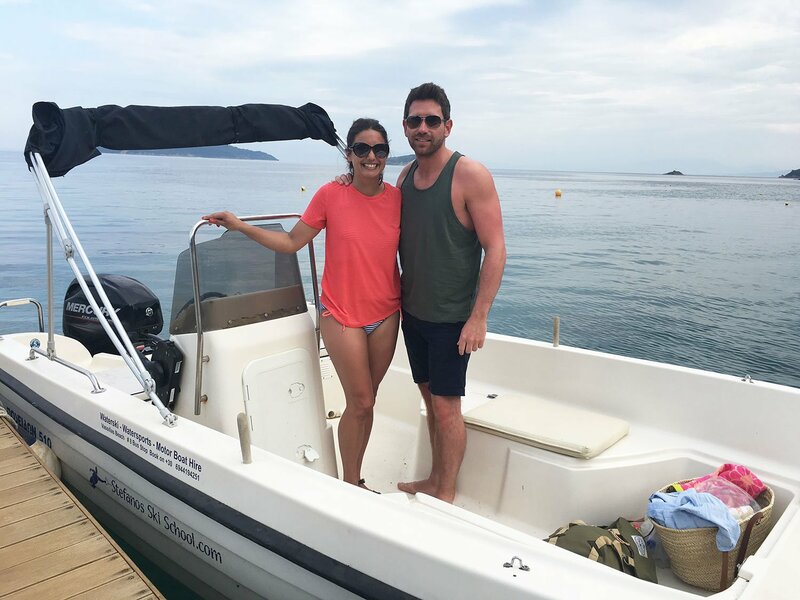 A wonderful couple with out any experience rented a boat in our opening day for summer 2018. Hi we would like to book a boat tomorrow !! All our boats are ready for the water BUT the propeller are missing as we have send them for repair long time ago .Something went totally wrong with everything so the propeller are still on their way from Athens . Anyway first i said no ! sorry , no propeller , so i cannot rent the boat to you ! Next morning i woke up and i said i must find a propeller as the day is amazing and it will be really same to lose that wonderful adventure . So i got up really early i went back and prepared everything: Life jackets , 2 anchors , new smoke flairs , floating anchor , oars , canopy , Battery , Papers and i hit the road !! I am going to the mechanics yard and i take the propeller he had for me as a replacement for the day …. BUT it didn’t fit … i am like ooooooo nooooooo !!! But my good friend found straight away another one he had !! Perfect ! So they are ready and they went … Perfect day !! How they did ? take a look in the video . The funny think is the the girl was afraid in the morning but look how well she control the boat , they also see dolphins … lucky ! !